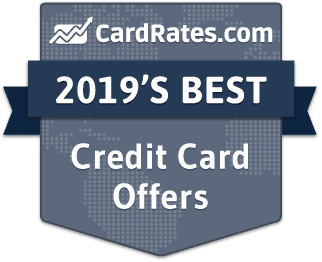 Below are our staff picks for 2019's top cash back credit cards. These cards reward users with cash back rewards and rebates, often via a check or statement credit, for their purchases. Our reviews follow strict editorial guidelines and are updated regularly. Most of us use credit cards for day-to-day purchases, so why not earn cash back rewards with every swipe? This handy table breaks down all the top cash back credit card offers in one easy-to-follow summary. Simply click on your card of choice if you'd like to visit the issuer's official site. Although I’ve gotten better over time, I was once what you might call a bit of a spendthrift. I refused to purchase anything for full price, and would often spend months comparing my options before making a big purchase. While I no longer avoid important purchases simply because something isn’t on sale, I still love a good deal. And with so many great digital coupon and promo code deals available online these days, you don’t need to spend much time looking for savings. Of course, even the best savings sleuth can’t solve them all. Indeed, few things are as irritating as thinking you’ve scored the perfect deal — only to come face-to-face with a coupon that could have made it even better. To help buffer myself against the inevitable discount defeats, I turn to my trusty cash back credit cards for both everyday and major purchases. Not only do cash back credit cards provide savings on every eligible purchase, but you can stack that savings with store and manufacturer coupons, as well as enjoying the convenience and security purchasing with a credit card offers. 1. How do cash back credit cards work? In essence, most cash back credit cards operate like a universal rebate, where you earn cash back rewards at a set rate for every eligible purchase, then redeem the rewards at a later time. Cash back rewards can typically be redeemed for a billing statement credit, check, or deposited into a bank account. What makes cash back rewards better than a traditional rebate is that you won’t need to mail any UPCs or receipts to cash in — simply log into your online credit card account. You also won’t be limited to where you can save; cash back rewards cards can be used anywhere the credit card network is accepted. 2. Can I get cash back on all my spending and purchases? The beauty of cash back credit cards is that they truly offer universal rewards. Anywhere your card is accepted, you can use it to earn cash back for your eligible purchases — which, in most cases, means practically everything. The majority of cash back credit cards offer at least a small, unlimited flat-rate cash back percentage (typically 1%) that is good on most everything you purchase with your card. To get the most value out of your rewards, however, you can look for credit cards that also offer a higher rewards rate for purchases in set bonus categories. These categories often include everyday expenses, such as gas and groceries, and can be extremely lucrative. If your purchases don't fall into common categories, try an unlimited credit card that offers a higher rate of return on every purchase. One important thing to remember about cash back rewards is that most credit card issuers will only offer rewards on new purchases. This means other transaction types, such as balance transfers or cash advances, don’t typically earn cash back rewards. Your cash back is also rewarded based on net purchases, so any returns or refunds may decrease the cash back you earn. In general, the better your credit score, the better your cash back card options. Many of the best cash back credit cards (those with the highest cash back percentage rates) will require good to excellent credit to obtain. That being said, you can still find cash back credit cards without perfect credit; even some credit cards for bad credit provide cash back rewards. 3. Does cash back come in the form of a check or a statement credit? Perhaps the most perplexing thing about cash back rewards is that you typically don’t actually receive cash when you redeem. With the majority of cash back credit cards, you’ll redeem your cash back for a billing statement credit or a physical check (sent through the mail). Additionally, some cards allow you to redeem for gift cards to popular retailers and restaurants. Rather than redeeming for a statement credit, you may want to consider depositing your cash back directly into your bank account. Some credit cards also provide bonus cash back when you redeem into a checking or savings account. SunTrust cardholders can earn a bonus 10% (or greater) for redeeming cash back into a SunTrust checking, money market, or savings account. 4. Can I get cash back at the register from using a credit card? One of the few drawbacks to cash back rewards cards is that they tend to behave more like rebates than coupons. In other words, you generally need to redeem them through your credit card issuer after you make a purchase, rather than being able to use them when you make a purchase at the register. On the plus side, this limitation is slowly changing, as more retailers pair with popular card companies to provide broader redemption options. For example, if you have a Discover it® credit card, you can redeem your cash back rewards toward an Amazon purchase right from your Amazon checkout page. For now, however, the only real way to get “cash back” at the register with your credit card is to make a cash advance, which is effectively like obtaining a small loan from your credit card. Be careful utilizing this feature, however, as cash advances tend to come with higher interest rates than purchases, and you won’t receive the traditional interest-free grace period you’d get with a new purchase, either. 5. What factors determine the best cash back credit cards? When it comes to choosing from among the best cash back credit card offers, the real question is not about which single card is ‘The Best’ — instead, it’s a matter of which cash back card is the best for you and your individual spending habits. For instance, if you tend to spend a lot on groceries and gas, then a category-based cash back program that offers bonus cash back for those purchases may be the most lucrative option. On the other hand, if your spending doesn’t fall into common categories, an unlimited cash back card might be more valuable. Overall, however, a few factors will differentiate the best cash back credit cards from the less-than-awesome cash back cards. The primary factor, naturally, is how much you can earn — and how you earn it. The cards at the top of most lists tend to be the ones that offer the highest cash back percentages. The size of the signup bonus can also be a distinguishing feature for rewards cards. Some of the best cash back cards have signup bonuses worth hundreds of dollars that can be earned simply by meeting the minimum spending requirement within the specified time frame. Other factors to consider include potential fees, such as whether the card charges an annual fee, as these can quickly eat into your rewards. You may also want to explore the card’s additional benefits, like rental car insurance or extended purchase warranties. 6. Do cash back credit cards charge an annual fee? In general, annual fees are used by credit card issuers to offset extra costs associated with the card. As such, annual fees are typically charged by cards that offer a lot of perks, such as cash back cards with high earnings rates, as well as cards that cater to those with less-than-excellent credit. Most credit cards with an annual fee will charge the first fee when you open your account, then subsequent fees every 12 months on your anniversary. Some credit cards with annual fees will waive the fee for the first year as an incentive for new cardholders. Since annual fees can quickly eat into your cash back rewards, you should crunch a few numbers to see if the annual fee is worth the cost. If you will spend enough on the card to earn more cash back than you’ll pay in annual fees, then the card may still be worthwhile. Otherwise, stick with one of the many great cash back cards that are also annual-fee-free. 7. What other fees might I be charged? As much as we may wish otherwise, credit cards and fees often go hand in hand. The list starts with the basic interest fees, which are generally based on your card’s variable APR, which can be found in your cardmember agreement. Thankfully, interest fees are fairly simple to avoid, either by paying your balance in full by your billing date, or by using an intro APR offer to enjoy 0% APR for 12 months or more. Late fees are also prevalent in the credit card world, with nearly every cash back card charging late fees for payments made past the due date. Late fees are fairly easy to avoid, as you only need to make at least the minimum payment by the due date. Remember that payments made even a single day past the due date will count as a late payment and likely result in a fee. Another common fee is the annual fee, which helps issuers pay for the rewards and benefits they provide to cardholders. While you can avoid annual fees by selecting a card that doesn’t charge them, some rewards cards can be well worth the fee. Your credit card may also come with a host of additional fees for the various optional services it offers, such as pre-authorized payments (automatic bill payments) or cash advances. Be careful here, as some purchases, like gift cards or money orders, can be charged as cash advances without you realizing it. You’ll also likely pay a fee if you want to transfer a balance to your card, which typically amounts to 3% to 5% of the transferred balance. 8. Do cash back cards offer other rewards programs? For cardholders who want more out of their cash back card, a bit of research can reveal a variety of cards that offer a little extra. For instance, cardholders of the NHL® Discover it® Card will earn 5% cash back in rotating purchase categories, plus they can save an additional 10% on NHL store purchases made with their Discover card. Another way to get a bit more “reward” out of your rewards card is through an introductory deal. Some cash back cards come with an intro APR offer that can be quite valuable. While the best intro APR deals are offered to consumers with excellent credit, those with good or fair credit may also be able to reduce their APR with a good intro APR credit card offer. If you want more flexibility in your rewards, you may want to look into programs that reward points rather than cash back. These programs often allow you to redeem your points for cash back as well as for other items, such as merchandise and even travel rewards. As with some cash back programs, different points programs will reward points at a better rate for specific categories. 9. Is there a difference between a “cash back credit card” and a “cash reward credit card”? Since their inception, cash back credit cards have had a lot of different names. Some folks call them “cashback credit cards,” others use “cash-back credit cards,” and others still use the term “cash reward credit cards.” No matter what you call them, however, they all represent the same thing: savings. That’s right, cash-back credit cards by any other name still reward cardholders with the ability to save on every purchase made with their cashback card. Of course, that’s not to say that there aren’t differences between cash back cards beyond the terminology. Each cashback card has its own earning structure and perks, such as category rewards versus unlimited cash back, so be sure to research an individual card’s offerings before you apply for a cashback credit card (or one with “cash-back,” or “cash back,” or even “cash rewards”). 10. How do cash back categories work? Cash back cards that use categories reward bonus cash back for purchases that fall into the specified categories. For example, a cash back card aimed at travelers might offer bonus cash back for airline or dining purchases. In addition to the bonus cash back, most category-based programs provide an unlimited flat rate for non-category purchases. Cash back credit cards with bonus categories will either use the same categories all year, or offer rotating categories. The typical credit card company offering rotating categories will change the category each quarter (every three months), meaning you’ll earn bonus cash back on specific purchases depending on the time of year. While cash back categories can be particularly lucrative for those who spend a lot in common categories, many cards will have caps on the amount of purchases that will qualify for bonus cash back. For example, a cash back card offering a bonus 5% cash back at gas stations may limit the 5% rate to only the first $1,500 of gas station purchases made in a given quarter. 11. How can I tell which categories apply to my current purchases? As lucrative as category-based cash back rewards can be for someone who spends a lot in common categories, they do have a downside: keeping track of all those categories. This can be particularly inconvenient for cardholders with rotating categories, or someone who has multiple rewards cards to capitalize on different category types. Indeed, managing your cash back cards can be such a hassle that numerous sites and apps have been designed to help you do just that. If you’d rather not rely on technology for the solution, you’ll need to do a little research yourself. In other words, if you want to be sure a certain merchant qualifies for a particular bonus category, you’ll probably have to dive into the fine print of your issuer’s website. On the plus side, most categories have fairly broad inclusions. For instance, a card offering bonus rewards for grocery purchases will typically include any retailer that specifically deals in groceries. What it generally won’t include is retailers who sell as much (or more) general goods as they do groceries (e.g., Walmart, Target, etc.). Of course, even if you do use a card that doesn’t provide a category bonus, most credit card companies provide unlimited cash back (at a lower rate) for purchases that don’t fall into the bonus category or are over the category cap. This means you’ll earn at least some cash back even if you don’t really maximize your rewards. 12. How do I maximize my cash back at the gas station? With prices at the pump regularly topping the $3/gallon mark, it’s little wonder that gas station purchases are a strong incentive for many cardholders — and, thus, an oft-offered bonus category for credit card issuers. In fact, with minimal effort, it’s possible to find gas-friendly cash back cards that offer 2%, 3%, or even 5% cash back for every fuel up. Another option for maximizing gas rewards is to obtain a branded gas station credit card. This is ideal for those on a first-name basis with the attendants at their favorite gas station. Branded gas credit cards can offer fairly significant savings, but are limited in use; most can only be used at the associated gas stations. 13. How do I maximize my cash back at the grocery store? Without even trying, the average family can easily go through $500 a month in groceries, a significant part of the typical family budget — a fact that is not news to credit card issuers. A wide range of cash back credit cards offer grocery stores as a bonus category, providing 3%, 5%, or even 6% cash back on grocery store purchases. The key to really maximizing your grocery store savings, however, is to take advantage of stacking. Most grocery stores will allow you to stack (use together) manufacturer’s coupons and store coupons, giving you twice as much opportunity to save. Then use your grocery-store category-bonus credit card to save even more with bonus cash back rewards. 14. How can I earn a sign-up bonus? If there’s one thing that can incentivise nearly any credit card applicant, it’s likely a sign-up bonus. I mean, who doesn’t like being rewarded with $100 or more simply for using your card to make purchases? Alright, so it’s not quite that simple; to earn a sign-up bonus, you usually need to meet a specific minimum spending requirement within a certain period of time, typically within the first 90 days. One thing to keep in mind is that most cards have limits on how frequently you can earn a sign-up bonus for a specific card. In general, you’ll only be eligible for a particular sign-up bonus once every 24 months, though some issuers will have different rules. One prominent example is American Express, which limits sign-up bonuses to once per card per lifetime. 15. How many months after account opening can I receive a sign-up bonus? The amount of time you have to earn a sign-up bonus will depend on the terms of the specific bonus. In general, most sign-up bonuses require you to meet the minimum spending requirement within the first 90 days after opening your account. In other words, you would only have the first three months to meet the spending requirement or before you would no longer be eligible to earn that specific sign-up bonus. Once you’ve hit the spending requirement, it will usually take between two and six weeks for your sign-up bonus to hit your account, though this may vary by credit card company. Once you have received your sign-up bonus, you can typically redeem it right away. 16. How does the Chase Freedom card work? True to its role as one of the largest credit card issuers in the world, Chase has a wide range of popular credit cards, and its cash back offerings are no exception. The Chase Freedom and Chase Freedom Unlimited cards represent both ends of the cash back spectrum with rotating bonus categories from the Chase Freedom, and unlimited cash back from the Chase Freedom Unlimited. Comparable to the Discover it® rewards system, the Chase Freedom card offers quarterly rotating bonus categories in popular areas, such as gas station or grocery store purchases, for which cardholders can earn 5% cash back. While the Chase Freedom bonus categories occasionally overlap with Discover’s, the two cards can typically be used in tandem to maximize your cash back rewards with two solid bonus category offerings. 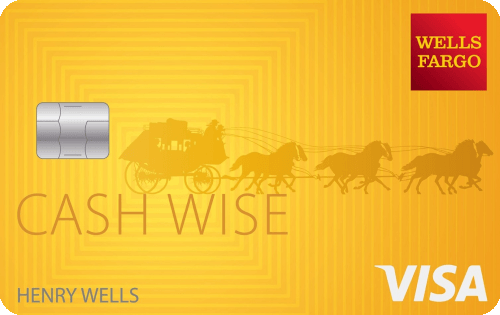 Similar to the Wells Fargo (not “Well Fargo”) Cash Wise card, the Chase Freedom Unlimited card offers an unlimited flat-rate cash back on purchases. However, it’s the added perks of the Chase Freedom cards that have folks saying, “Farewell Fargo” — like the fact that your Chase Freedom rewards can be turned into Ultimate Rewards points, a points program famous for its valuable travel rewards redemption options. 17. How does Blue Cash® from American Express work? The Blue Cash® credit cards from American Express are among the most popular cash back options on the market for those with good to excellent credit scores. Amex offers three different Blue Cash® cards, including the entry-level Blue Cash® Card, the Blue Cash® Everyday Card, and the premium Blue Cash Preferred® Card. The Blue Cash® line of cards focuses on providing cash back on the everyday necessities with permanent (non-rotating) bonus categories that provide extra cash back for the things we use the most. All three offer bonus cash back for gas and grocery purchases, with the Everyday and Preferred versions also offering bonus cash back on purchases at select US department stores. Although any of the Blue Cash line of cards can be valuable to shoppers for earning rewards on the everyday necessities, what really makes the Blue Cash Preferred® stand out from its siblings is the rate at which you earn those rewards. The Blue Cash Preferred® has one of the highest earning rates in the current market, providing up to 6% cash back on all of your grocery purchases (on up to $6,000 per year in purchases). 18. How does the BankAmericard Cash Rewards card work? If you’re looking to earn bonus cash back on gas station, grocery store, and wholesale club purchases, then you may have found your card. The BankAmericard Cash Rewards card not only offers static bonus rewards categories (so no rotating categories to keep track of) for your everyday necessities, but the popular cash back card also charges no annual fee and comes with a great intro APR offer, to boot. Purchases that don’t fall into the bonus categories will earn unlimited 1% cash back. You’ll also earn unlimited 1% cash back for category purchases beyond the first $2,500 in combined category purchases made each quarter. For loyal Bank of America fans, the BankAmericard Cash Rewards credit card can be a particularly lucrative pick. That’s because the bank provides a 10% customer bonus for cardholders who redeem their cash back rewards into a Bank of America checking or savings account (and even more for Bank of America Preferred Rewards clients). 19. How does the Citi Double Cash card work? With so many credit cards cluttering up the cash back space, it’s rare to find a credit card issuer with a rewards structure that stands out — but Citibank managed it. The popular credit card company’s Citi Double Cash credit card works on a unique system that provides cash back rewards on each purchase, plus extra cash back for paying down your balance. That’s right, not only will you earn unlimited 1% cash back on every purchase you make with your card, but Citi will also reward bonus 1% cash back when you pay your bill, as long as you make at least the minimum payment due. Since both purchase rewards and payment reward are unlimited, there’s no cap on how much cash back you can earn with your Citi Double Cash card. Keep in mind that only new purchases will qualify for cash back. Making — or making payments on — cash advances, balance transfers, account fees, interest fees, or returned items won’t earn any cash back. 20. 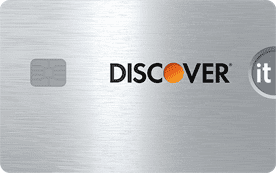 What is the cash back on Discover cards? 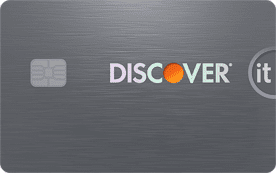 Given that Discover is the credit card company that pioneered cash back rewards in the first place, it’s no surprise they have some of the most popular cash back cards available. 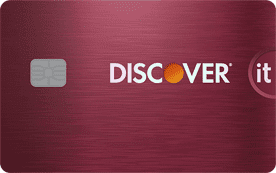 The Discover it® line of cards was one of the first to utilize the rotating bonus categories model, offering 5% cash back for purchases that fall into the bonus category. Discover’s bonus cash back categories change each quarter (every four months), with a new category replacing the old one every January, April, July, and October. The various categories typically cover popular or everyday purchases, such as grocery stores, gas stations, restaurants, and wholesale clubs. Bonus cash back earnings are capped each quarter, with only the first $1,500 in purchases made in the bonus category earning the 5% cash back. Purchases that aren’t eligible for bonus cash back will earn unlimited 1% cash back. 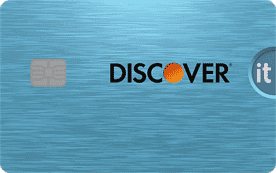 Other than keeping track of the current category, perhaps the most inconvenient part of Discovery’s rotating category system is the need to activate your bonus category in order to receive your cash back bonus on those purchases. This is made a little easier by the fact that you can activate your next-quarter category up to two months before the start of the quarter, giving you plenty of time. If rotating categories aren’t your thing, the Discover it® Chrome cards provide static bonus categories that provide 2% cash back on the first $1,000 in restaurant and gas station purchases made each quarter. Purchases that don’t qualify for bonus cash back or are over the quarterly cap will earn unlimited 1% cash back. 21. 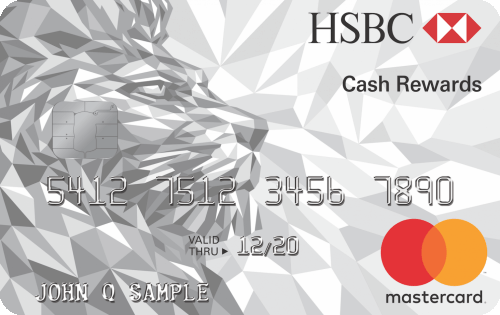 Do cash back cards allow balance transfers? Although we all know to avoid carrying balances when possible, sometimes it simply isn’t an option. But if that balance happens to be a credit card with a high interest rate, it can get expensive. Balance transfers allow you to move a credit card balance from one card to another card with a lower interest rate. Most credit cards, including the majority of cash back cards, will offer the option to transfer a balance (to it or from it). To make that balance transfer even more affordable, a number of popular cash back credit cards provide solid intro APR deals, with low variable APRs or even a 0% APR. These deals can mean 12 months or more interest-free to work on whittling down your balance, but the best balance transfer deals are typically reserved for those with the best credit scores. It’s not all peaches and cream, however. The bulk of credit cards (including cash back cards) that can receive balance transfers will charge a balance transfer fee for the service. This fee generally ranges from 3% to 5% of the total transferred balance. While the balance transfer fee can be pricey, interest fees are often pricier, so you may need to do the math to see if a balance transfer is worth the cost. 22. How can I adjust my spending habits to maximize my cash back? Once you’ve had a taste of how profitable cash back rewards can be, it’s natural to look for ways you can get even more out of your rewards. You can maximize your cash back rewards in a few ways, such as by replacing your current card. Depending on your credit score, you may be able to upgrade your everyday card to a more profitable option, like the Amex Blue Cash Preferred® card that offers up to 6% cash back on everyday purchases. Another popular method for making the most of credit card rewards is to keep a variety of rewards cards on hand that have different bonus categories. This way, no matter what category your purchase falls into, you likely have a card that offers bonus rewards on that purchase. Since most cards tend to only offer high earning rates for a single category, this can be a great way to maximize rewards. As an example, consider the Chase Freedom card and the Discover it® cards, both of which offer 5% cash back in quarterly rotating bonus categories. While the cards’ categories occasionally overlap, the majority of the time they will have two separate bonus categories in a given quarter. So, with both cards in your wallet, you will generally have two common categories offering 5% cash back. You should not use the multi-card method of maximizing credit card rewards if you tend to make late payments — or, worse, miss payments entirely. Not only do late payments often come with costly late fees, but they can also cause significant credit score damage. You should also avoid multiple cards if you are prone to carrying a balance, as interest fees can quickly erode your cash back rewards. Since most cash back rewards don’t expire so long as your account is active and in good standing, maximizing your rewards also includes making sure to keep your account open by regularly using your card, even if just for a small purchase here and there. In most cases, simply redeeming some of your cash back rewards can count as “account activity,” and thus extend the life of your account (and your rewards). 23. What other benefits does my cash back card offer? With so much focus on the cash back rewards of your cash back credit card, it can be easy to forget that most credit cards also reward cardholders with other perks simply for being cardholders. The exact benefits you receive will depend on the credit card issuer or network. For example, Visa Infinite cards provide a range of extra perks not available to other Visa cardholders, including useful travel benefits like travel fee reimbursement, trip cancellation insurance, and lost luggage reimbursement. 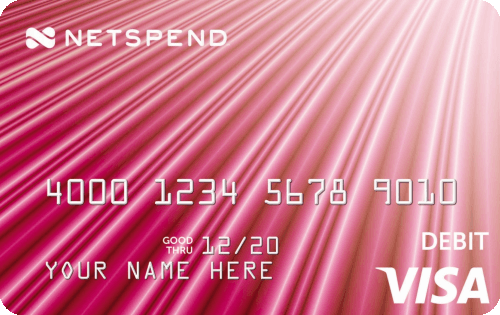 Visa Infinite cards are reserved for only the most qualified applicants, however, and tend to carry significant annual fees. Other, more common, cardholders benefits can include things that make your purchasing more secure, such as extended purchase warranties, or things that make traveling more affordable, like rental car insurance. For the most part, only purchases made with your credit card are eligible for the extra benefits. We also shouldn’t forget the host of perks that come from using a credit card rather than other payment methods. For instance, credit cardholders who don’t receive the product they were promised may be able to get a return through their credit card company if the merchant is uncooperative. Credit cardholders can also set up pre-authorized payments to ensure your bills are paid on time every month. Between the universal rebate of cash back rewards and the perks that come from being a cardholder, it’s hard to go wrong with a great cash back rewards card. And as someone who has long been concerned with finding the best deal, I’ve found credit cards to be a great tool for finding savings in all the metaphorical nooks and crannies. Indeed, no matter where most of your spending occurs, chances are good you can find a cash back credit card that will help you make the most of that spending. That being said, always remember to spend wisely; unlocking the best cash back rewards cards requires good to excellent credit. Avoid late payments and high balances to keep your credit score in tip-top shape. The information on this page was reviewed for accuracy on November 30, 2018 .